PT. Global Putra International Express (GPI Express) is a new business unit that is responsible for distributing online merchandise products under the Global Putra International Group. Established since October 2015, we realize that in this era of intense competition, we can not only present a simple distribution system for the Indonesian market today. 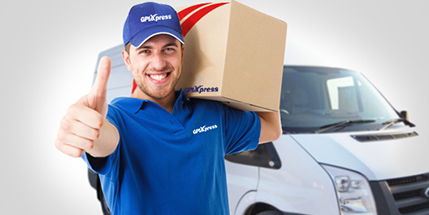 Therefore, based on the latest technological developments (innovations), GPI Express tries to use them in an effort to manage integrated and controllable operating systems based on algorithmic methods to manage the movement of goods from the beginning to the end of the distribution process (picking up, sorting, scheduling and delivery). As an excellent service, we are committed to all business partners, customers and business stakeholders, to run this company to a higher level in order to compete with other companies both at national and international level. With our self-managed and well-integrated branch management, GPI Express will be transformed into one of the leading courier companies in Indonesia as our motto to continue the innovation.